Thank you for featuring my site! You are very welcome Tasha! I love your site and reading your blog! 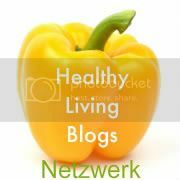 I write a similar blog in German featuring topics like clean eating and anything I come across which makes my life more happy!